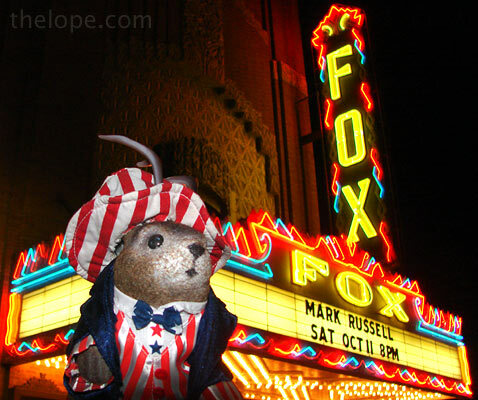 Mark Russell, that unique political comedian (as opposed to comedic politician, of which we have plenty) appeared to a packed house at the Fox Theatre in Hutchinson, Kansas, last night. 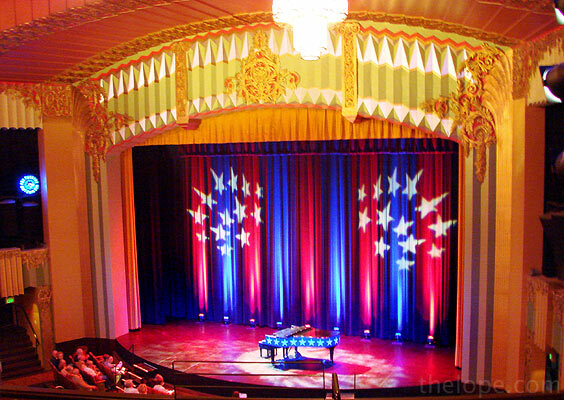 Photos were not allowed during the performance, but this pre-show view features his iconic piano. 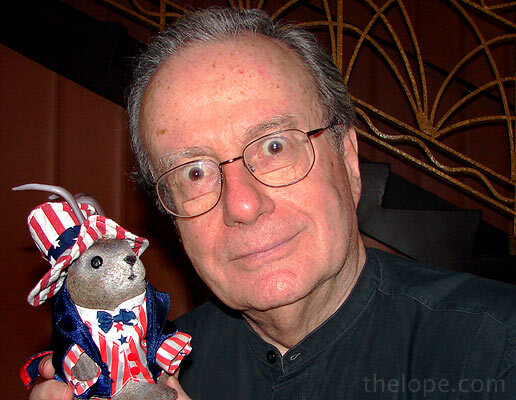 His PBS specials are among the earliest memories I have of politics. Senate hearings...press conferences...those rituals are opaque to the pre-political mind of a child, but toss in a guy at a piano making fun of it all, and we begin to get it. Mr. Russell was kind enough to say hello to a few fans after the show. 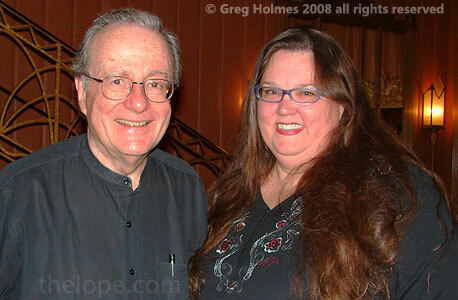 On the right is Ace's good pal, local Internet pundit Patsy Terrell. Russell was amused at my request for a photo with Ace Jackalope. At least I think that's amusement. I informed him that Ace is running for President but he did not immediately voice his support. I should probably have pointed out that Ace never wears pants, and thus would provide ample comedic fodder during his administration. 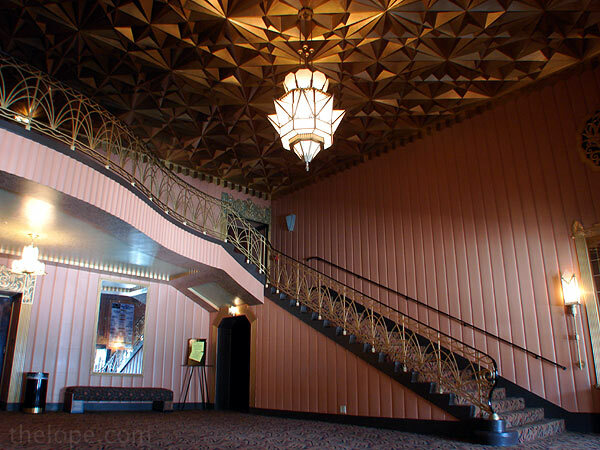 Ace would like to acknowledge the help of Mary Hemmings of the Fox Theatre. And a "thanks" goes out to his pal, Sharon, also. We'll have some more Fox photos coming soon; but in the meantime, feast your eyes on this bit of Art Deco grandeur. Yeah. Go there.